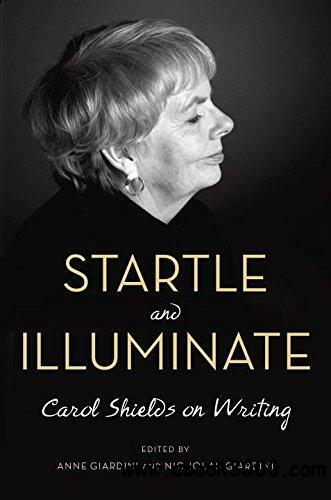 In the course of her extraordinary career, which included the novels The Stone Diaries, Larry's Party, The Republic of Love and Unless, as well as poetry, short stories, biography and plays, Carol Shields was unfailingly encouraging of other writers. She read and commented on her friends' manuscripts. She taught writing classes and she spoke and wrote on the craft of writing. Her own discipline rarely faltered. Her daily practice was to write a new page, then edit the page written the day before, then repeat, until, after a year or so, her book was finished. Now in her own words, as clear and straightforward as a glass of water, comes Startle and Illuminate, the best possible guide to the writing process, from conception to publication. This essential work, drawn by her daughter and grandson from her voluminous correspondence with other writers, essays, notes, comments, criticism and lectures, is a last gift from one of our finest novelists meant for both aspiring and established writers. It helps answer some of the most fundamental questions about writing: such as, why we write at all, whether writing can be taught, what keeps a reader turning the pages, and how a writer knows when a work is done. For Shields's devoted readers, Startle and Illuminate reveals her own thoughts on why we read-to be the other, to touch and taste the experience of the other; and why we write-for the joy of the making, to reimagine our world, to discover patterns and uncover forms that echo our realities as well as interrogate them, to imagine alternate worlds. It is a beautiful legacy.